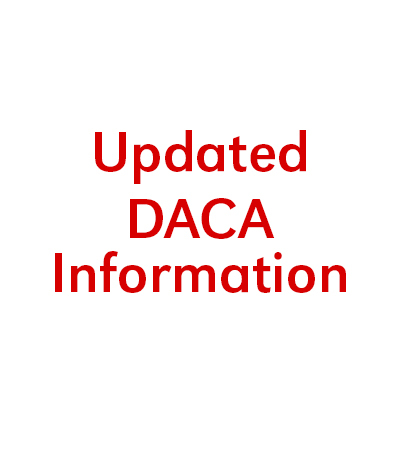 United States Citizenship and Immigration Services (USCIS) recently posted an advisory reinstating the Deferred Action for Childhood Arrivals (DACA) program. This reinstatement is the result of a recent federal court decision that prevented USCIS from ending DACA, at least for the time being. A copy of the federal court order can be found at https://assets.documentcloud.org/documents/4345906/1-9-18-DACA-Opinion.pdf. The full advisory reinstating the DACA program can be found on the USCIS web site at: https://www.uscis.gov/humanitarian/deferred-action-childhood-arrivals-response-january-2018-preliminary-injunction. Those who otherwise meet the guidelines of the original DACA program. Those requirements can be found here: https://www.dhs.gov/xlibrary/assets/s1-exercising-prosecutorial-discretion-individuals-who-came-to-us-as-children.pdf. Individuals whose DACA status expired on or after September 15, 2016. Those individuals should file their applications asrenewal applications. The USCIS web site has links to the forms and instructions necessary to complete both renewal and “initial request” applications. Those who wish to apply should do so quickly, since the federal court litigation is ongoing and it is unclear how long USCIS may be required to accept applications.